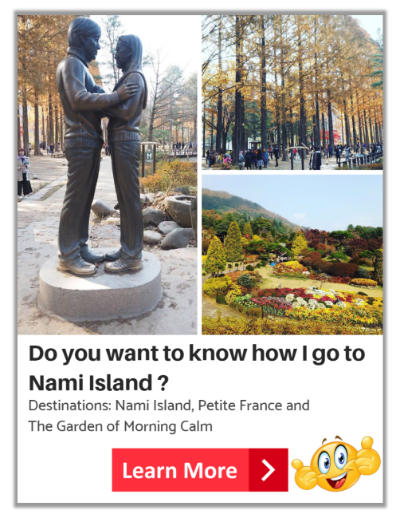 Want to know how to go to Everland theme park from Seoul (Myeongdong/ Dongdaemun/ Hongdae)? Here are the detailed solutions for you. 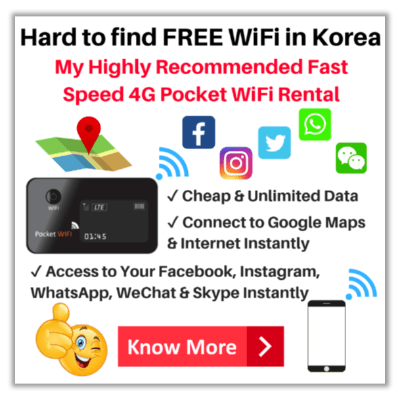 I will cover the above 3 methods in detailed so that you can select one of the solutions in here to reach the wonderful theme park in South Korea. 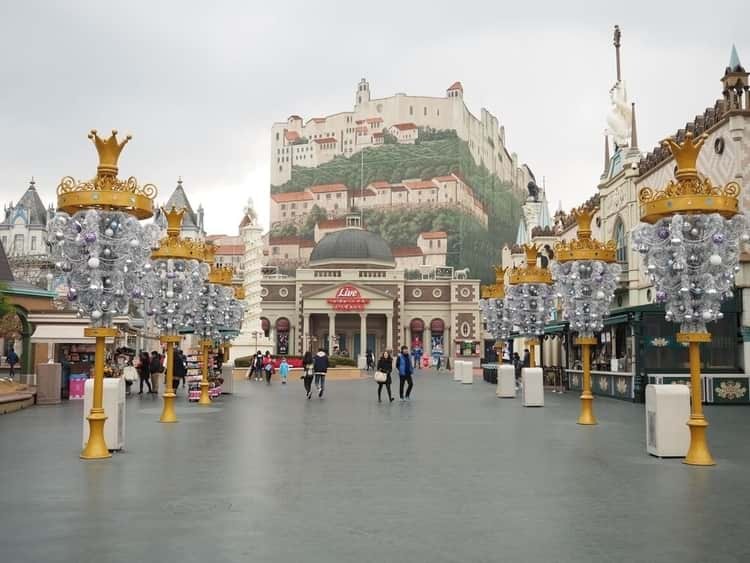 If you ask me, is this theme park worth for visiting or not? I would 100% recommend it and I never regret going there before. 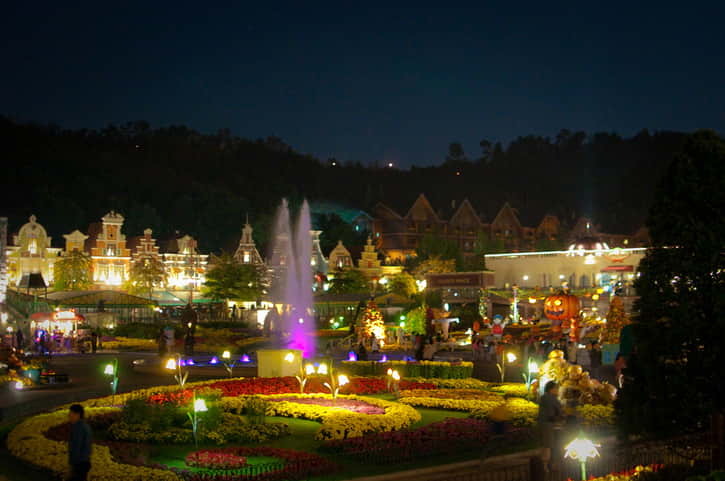 The theme park is very beautiful and offer many activities in there. Soon, I will tell you more about it. 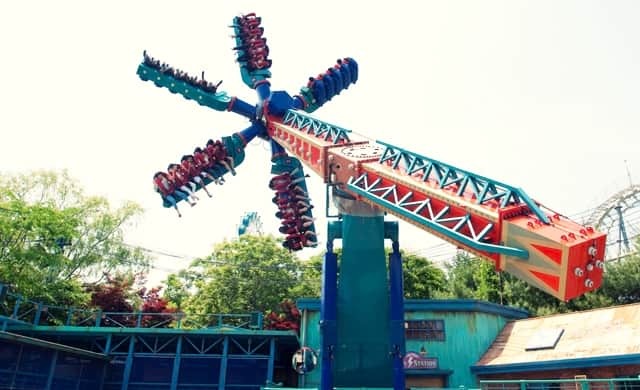 Conversely, if you want to know more about Everland and also what are the things you can enjoy in there, then continue reading, soon you will know it. 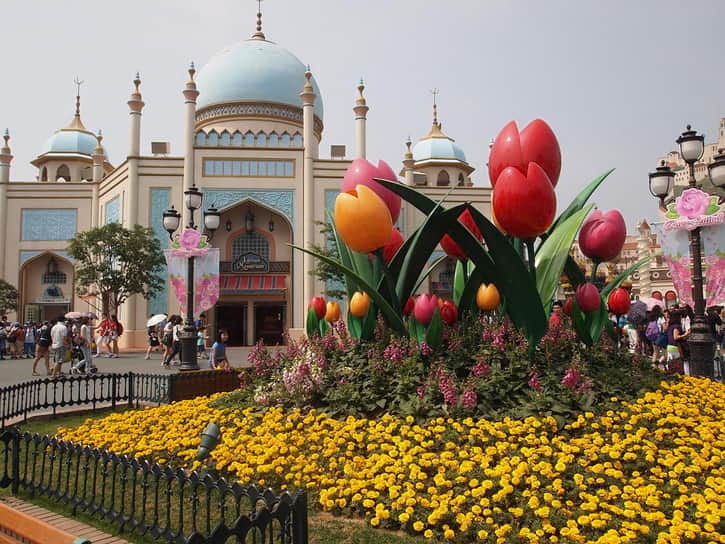 Everland is one of the well-known amusement parks in South Korea and offer many activities for kids and adults. This is a great place for a full day trip. It gives visitors endless happiness, fun, fantasy, thrilling and romance feeling. Highly recommended go to Everland on a Weekday and try to avoid going there on public holiday in South Korea. Let’s go through the below information and photos to get a better insight of this place and know the methods to go to this amazing theme park! What Things to Do at Everland? 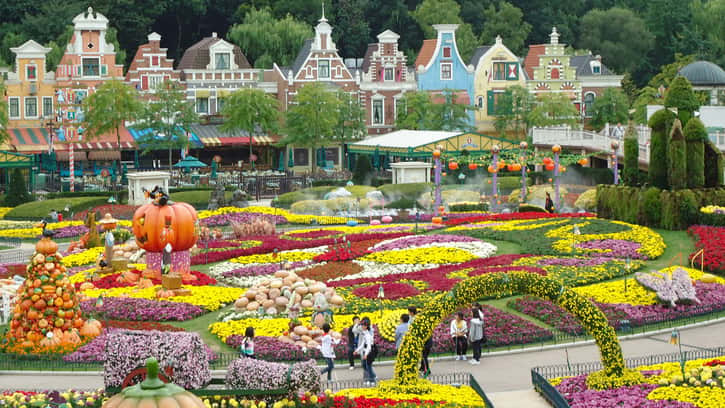 There are 5 themes in Everland which are European Adventure, Magic Land, American Adventure, Zootopia and Global Fair. Thus, this theme park is perfect suit for children and adults because it comprised different kind of facilities like VR Adventure, 4D Games, Children Games, Adventure Games, Safari World, Romantic Garden and many more. The Global Fair is situated nearest to the entrance of Everland. Then the Zootopia located on the left side and American Adventure located on the right side when you go in main entrance of the theme park. The Magic Land and European Adventure are located at the end of Everland. Now, let’s get to know each zone facilities. What to do at Global Fair zone? If you interested to experience like in live of joining K-Pop concert then Live Hologram Theater is a great theater for you like put yourself to see the live concert. The Live Hologram Theater is using the cutting-edge technology of sound system and lighting. Other than this, you can find fashion clothes, toys, dolls and souvenirs stores in the Global Fair zone. Moreover, some of the stores are selling candies, cookies, snacks and chocolates which you can taste on it. Besides that, you can take some foods at Oriental restaurant which located in this zone and the Magic Tree just in front of it. What to do at American Adventure zone? There are 3 spinning games which you can join to play are Double Rock Spin, Hurricane and Championship Rodeo. On the other hand, you can ride the super-fast roller coaster with 360 degree rotating at Rolling X-Train. If you want to get an amazing experience of twists in all angles, then you can join the Let’s Twist. What to do at Zootopia zone ? 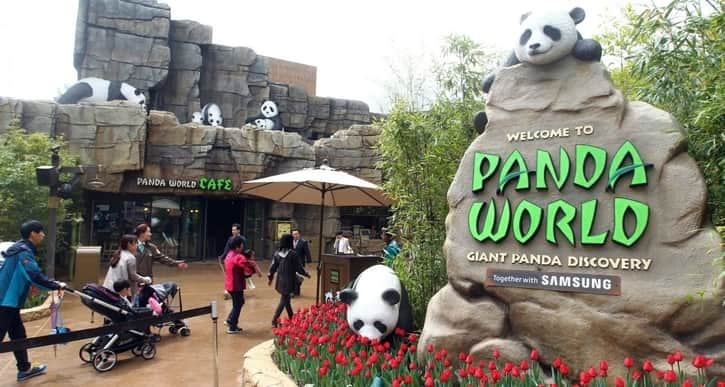 The Panda World opened to visitor to see the giant cuddly Pandas that imported from Sichuan, China. 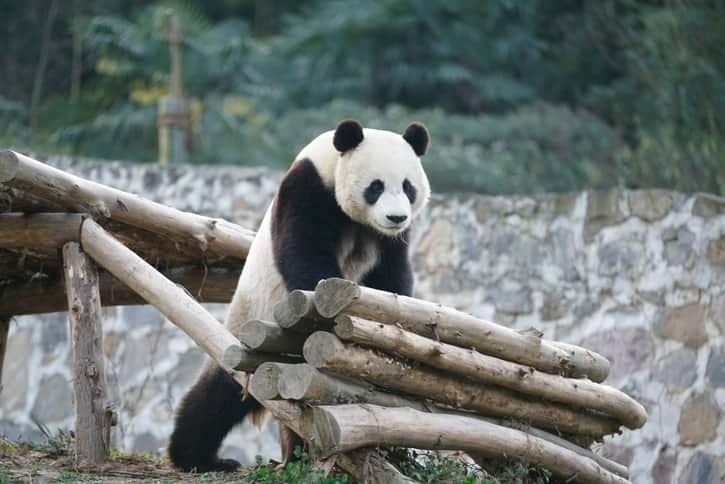 It’s very hard to get a chance to see rare pandas in the world because of deforestation and low birth rate. So, don’t missed out the opportunity to see the chubby bodies and adorable faces of Pandas. 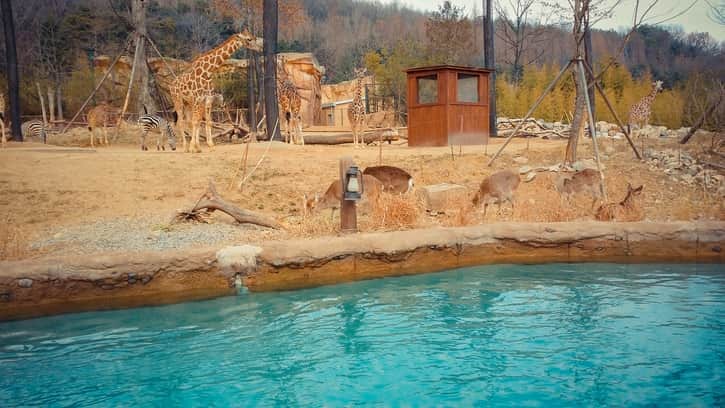 In addition, the Lost Valley Safari adventure offer you to see the hundred of unique animal species. You can enjoy seeing variety of animals roam around by riding the convertible amphibian vehicle which are able to move from land to water through the natural land. One of the most interesting to see at Lost Valley is the ranger feed the giraffes from the windows. 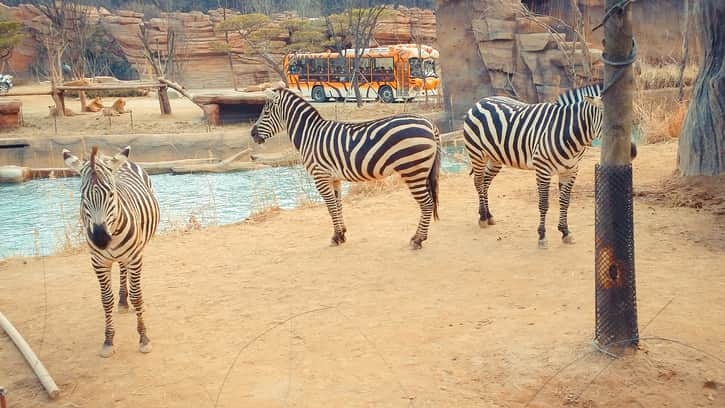 Most importantly, don’t missed out to visit the Safari World because you can get a close distance to see the predators by riding the safari bus. 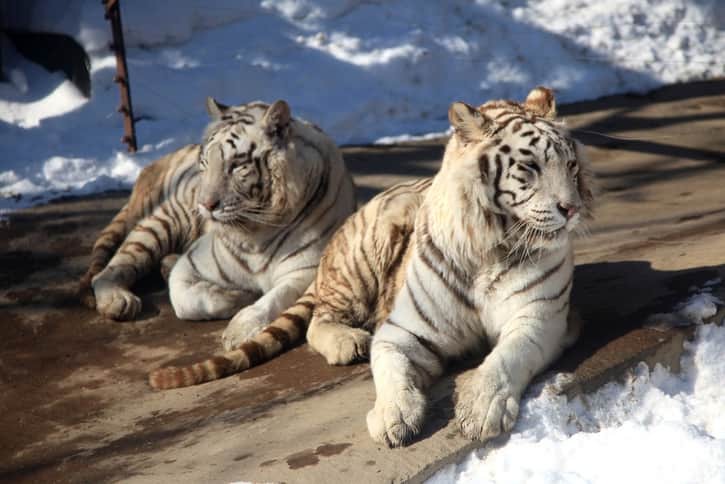 The predators can be seen through the safari bus are white tigers, lions, bears and hyenas. 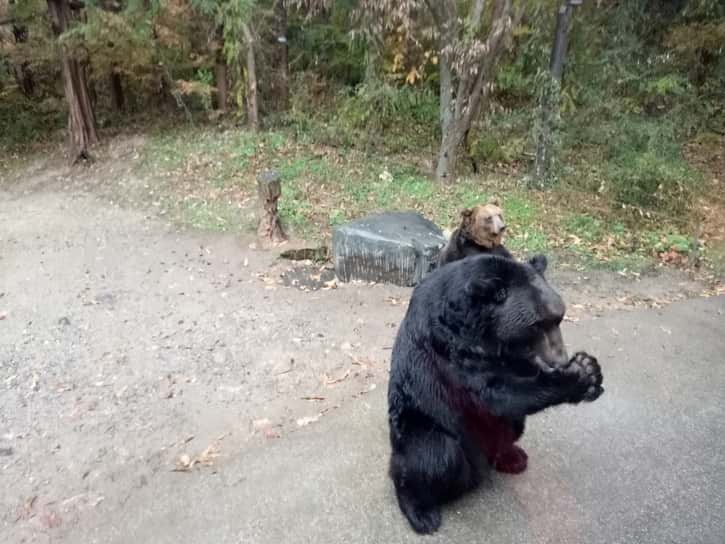 Furthermore, you can get a chance to see the bears show funny pose when the driver feed the foods to them. It is very cute and funny ! Other than this, you can go to visit Penguin & Sea Lions, Animal Wonder World and others in Zootopia zone too. What to do at European Adventure zone ? 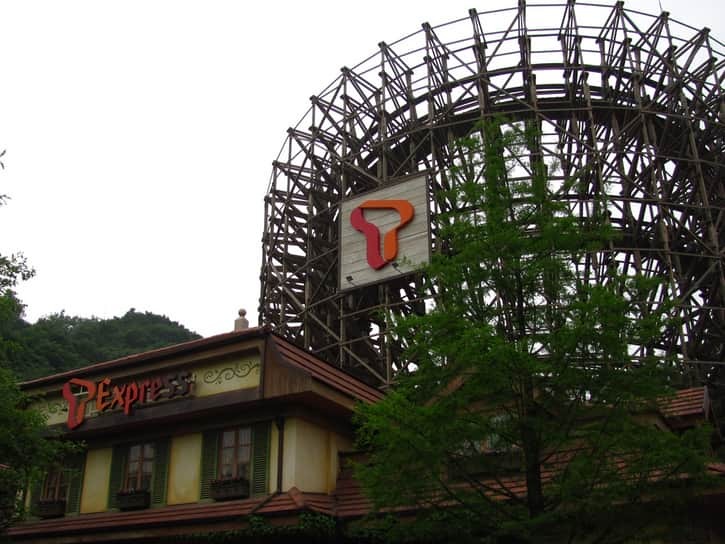 T Express offer you to ride the steepest roller coaster in the world with an unforgettable memory for this thrilling game. If you like to see the beautiful flowers and colorful European style building then Magic Garden is a great place for you to visit. The surrounding environment filled with beautiful scenery, relaxing and romantic. So, don’t forget to take photo shooting at this stunning scenery. Apart from this, you can join the thrilling 4D movie at Space Tour. When you watch the 4D movie, your seat will move and strong wind will blow on you based on movie effect. Mystery Mansion offer you an excitement in the mansion to use the laser gun to shoot the ghost. Then, Royal Jubilee Carousel provided you to ride a white horse and act like a character in a fairy story. What to do at Magic Land zone ? Thunder Falls game offers you to ride a boat to reach the top point and the boat will suddenly drop backward through a waterway at a high speed. Besides that, you will find many kid games at this zone like Magic Swing, Magic Cookie House, Bumber Car, Boong Boong Car, Robot Car, Flying Elephant and many more. 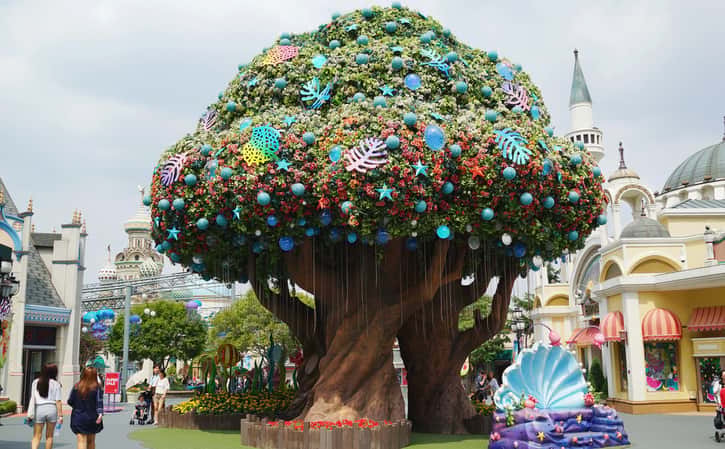 Before knowing in detailed of going to Everland, let us see the travel expenses and how long does it take to Everland from Seoul by subway and Public Bus 5002. All the transport modes above will drop you at the area where you can take a free shuttle bus to Everland. The travel time is around 5 minutes via free shuttle bus. If you want to take subway or public bus to Everland, the travel time will be around 120 minutes. I’m not going to scare you. 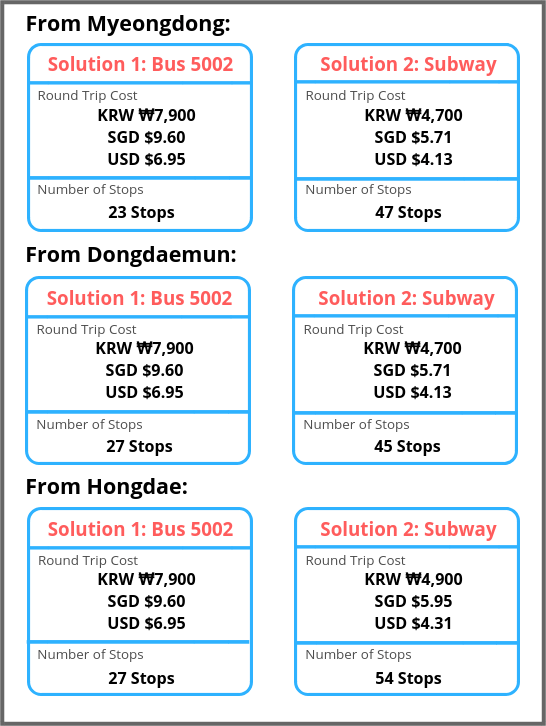 I have listed down in detailed below, how long does it take to Everland by Bus 5002 and Subway from Myeongdong, Hongdae and Dongdaemun. If you don’t want to suffer this kind of long hour journey to Everland, another way is taking shuttle bus to Everland. Convenient and save your transport time so that you have more time to spend in the amazing theme park. Some shop names showing on the street view may not the latest update. 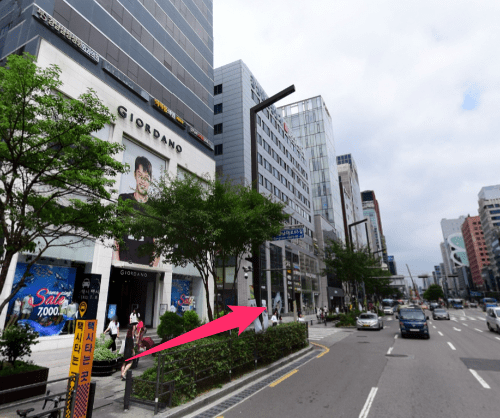 Tap the Map above to see the walking steps to bus stop of Bus 5002 from Gangnam Station Exit 10. Tap the Numeric Markers on the Map to see the street view in order to get a better idea of walking direction toward the bus stop of Bus 5002. 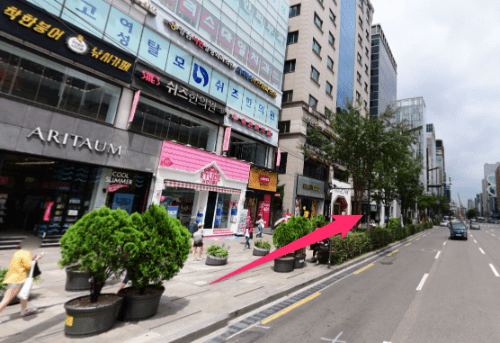 At first, take the Seoul Subway Line 2 to Gangnam Station and then take an Exit 10. When walk out the underground station Exit 10, you will see an alley on your left and tall building with green glasses on your right. There are Gong Cha bubble tea shop, happy lemon plus bubble Tea shop, Burger King shop at the downstairs of green glasses tall building. You should stay in the left lane and go straight. As you walk, you will pass the Tongyeong building on your left and the building color is black. 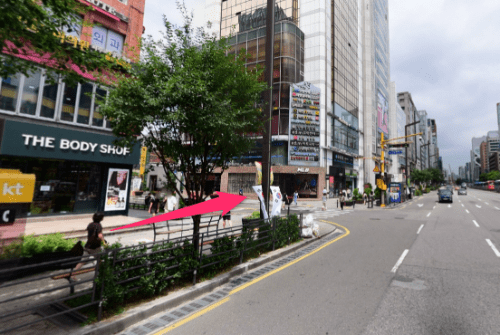 Then, you will see the 8 seconds clothing store next to the Tongyeong building. The Planet-B apparel shop just on the opposite road. Walk across the zebra crossing after you past The Body Shop that selling skin care products on your left. After that, you will notice the LLOYD THE GIFT women accessories shop on the right. The Massimo Dutti clothing store will be on your left. 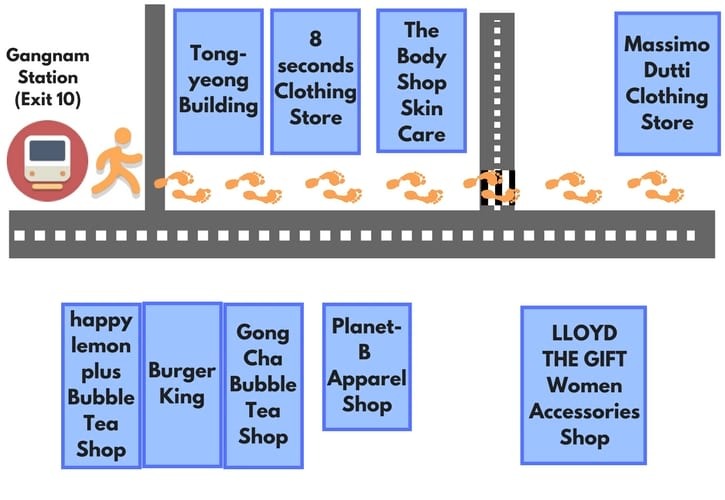 Next, you will pass the LUSH FRESH HANDMADE cosmetics shop and ARITAUM Korean cosmetics shop. The Starbucks Coffee and McDonald’s just on the opposite road. 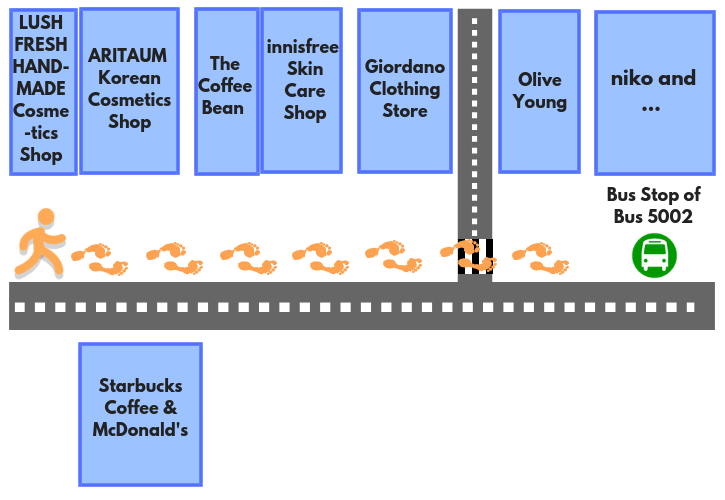 After past the ARITAUM Korean cosmetics shop, soon you will discover The Coffee Bean and innisfree skin care shop on your left. Walk straight and pass the crosswalk ahead of you after the Giordano clothing store. After the crosswalk, you will see the Olive Young drug store on your left. Keep in the left lane and go straight, the bus stop is closer to you now. After you pass the Olive Young drug store and two more shops, then you will find the “niko and …” on your left. The bus stop of Bus 5002 just in front of “niko and …”. The Bus 5002 will stop at bus terminal that nearby the place that allow you to ride a free shuttle bus to the theme park. After getting off the bus, walk toward the footbridge direction because the waiting area for free bus to Everland is very near to it and the bus stop is light brown color. Better reach the Gangnam Station in the earlier morning. This is because the public bus is not allowed for standing if no vacant seats available on the bus. So you have to wait for next bus that has vacant seats available. 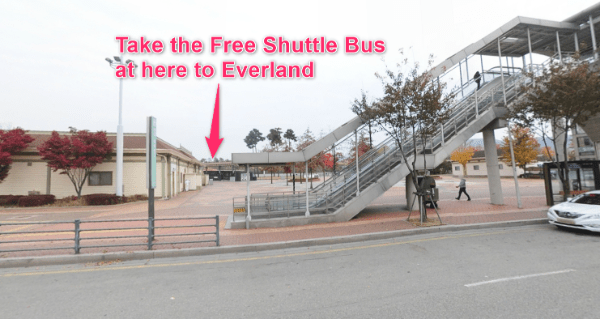 Tap the Map above to see the walking steps to bus stop of riding Free Shuttle Bus to Everland. Tap the Numeric Markers on the Map to see the street view in order to get a better idea of walking direction toward the bus stop of riding Free Shuttle Bus to the theme park. Firstly, take the Subway that has connected to Bundang Line. You may check the Seoul Subway Map or mobile App to know which line has connected to Bundang Line. Secondly, transfer to Yongin EverLine at Giheung Station. 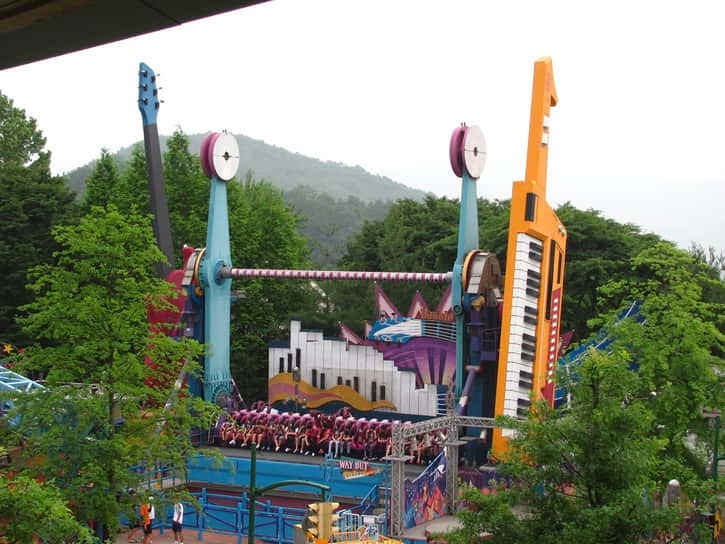 Then, ride the Subway to Jeondae Everland Station which is the last stop station of Yongin EverLine. Then, follow the signboard that show Exit 3 when you reach the Jeondae Everland Station. When you follow the signboard of Exit 3, you will go over the pedestrian bridge and then take an Exit 3. Finally, the bus stop for free shuttle bus to Everland just around the corner after walked down the staircase or go down by elevator on pedestrian bridge. The light brown color bus stop is the place where you can catch the free ride bus to the theme park. Ya, one more thing, I booked the Everland ticket online because I discovered that the ticket price at Everland counter is higher than booking online. The normal price for adult ticket is KRW ₩54,000 (SGD $65.53) and child ticket is KRW ₩43,000 (SGD $51.70) if you buy it at the counter of Everland. Thus, I decided to buy the ticket online to save some pocket money. 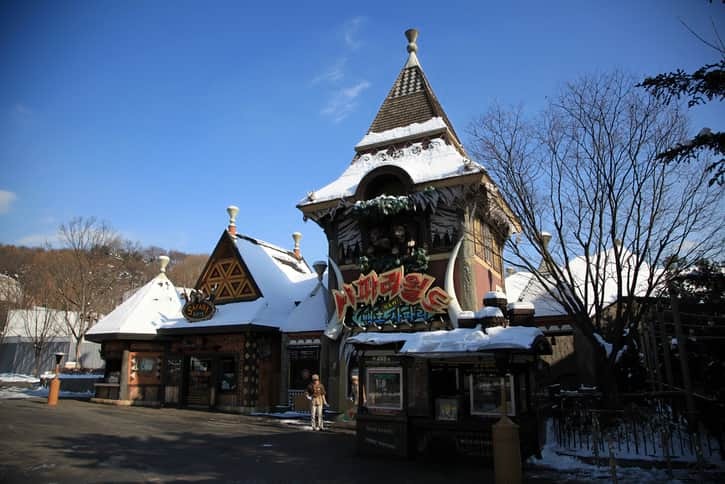 It can help you to save the money from 30% to 44% depend on which season you go to Everland. At least cheaper than you buy the ticket at the Everland counter. Other than this, online ticket valid for few months, so you can pick any day to visit Everland. So, you don’t have to worry about sudden change of your schedule for visiting the Everland. If you don’t want to suffer for taking long hours (120 minutes) to Everland from Seoul by subway, taking shuttle bus is the best method to Everland. It save your travelling time and super convenient locations for you to get on the bus. So, you can take a good rest on the bus and get a full energy to play around at this excitement theme park. One of the things I like about the shuttle bus service is the assembly locations. You can choose one of the locations (Myeongdong, Hongdae and Dongdaemun) to get on the bus. If you take the first solution, the bus will drop you at the area where you can take the free shuttle bus to Everland. The journey time from the area where you can take the free shuttle bus to Everland is around 5 minutes only. 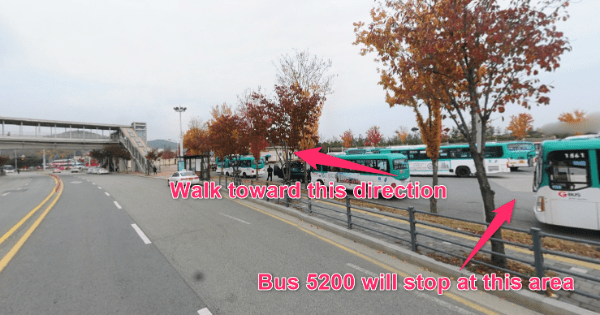 Conversely, if you take the second solution, the bus will drop you at the front door of Everland. But the price of second solution is higher than the first solution. The cost-effective way to Everland is the first solution. Below is the reason why I said the first solution is cheaper than the second solution. Highly suggested to buy the Everland tickets online. Here’s why. Go-in the Everland directly by just scanning your online tickets via your mobile or printed tickets at the entry gates of Everland. Enjoy open-dated tickets. Normally, valid for few months. Therefore, if you have any changes in your itinerary, you don’t need to rush for the exact date. Interested to know the feedback made by previous visitors about Everland and why they prefer booking the discount tickets online? All these, you can know at the below link. Check Everland Discount Ticket Deals Now! 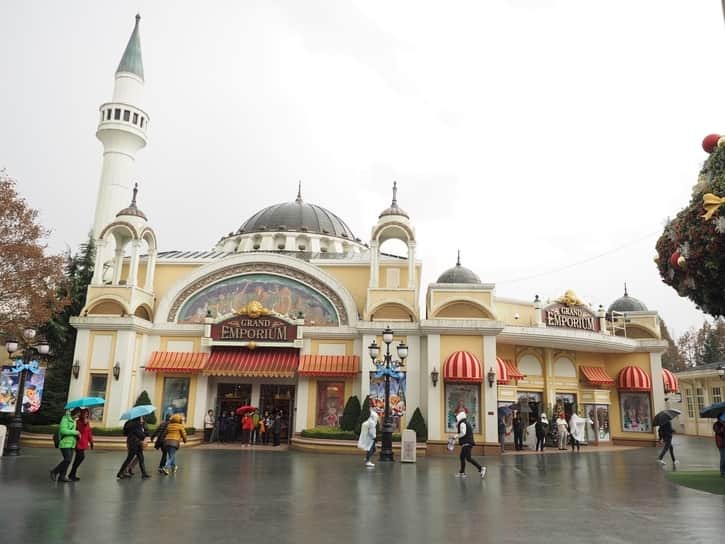 The quickest way to get to the Everland is taking a private car or van service to there. But a bit costly. 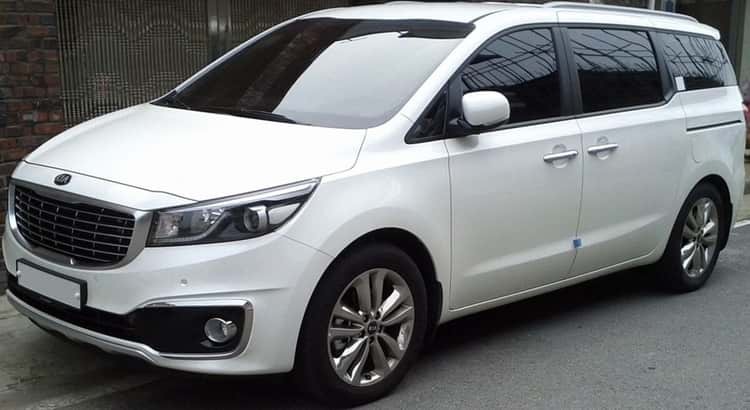 One of the advantages of taking private transportation is you can gain full flexibility because you can decide departing time and leaving time as you want. So, you can enjoy the amusement park at your own speed without rushing. Furthermore, you totally don’t need to worry about public transports because they have provided pick-up and drop-off service in front of your hotel. This private transportation is suitable for those who travel with elderly who are not convenient to walk a lot. In addition, it also suitable for a group of friends or family members who prefer going to Everland with comfort and easy without hassle. Thus, you just sit back and relax meanwhile enjoying the scenery on the road to the largest theme park in Korea. However, it doesn’t include entrance ticket of the theme park but you can book Everland Discount Ticket in advance to save your pocket money. You are allowed to choose the driver either know to speak English or Chinese to make your conversation easier. Everland is a must visit place in Seoul, South Korea because this amazing theme park give you a lot of fun and happiness at there. 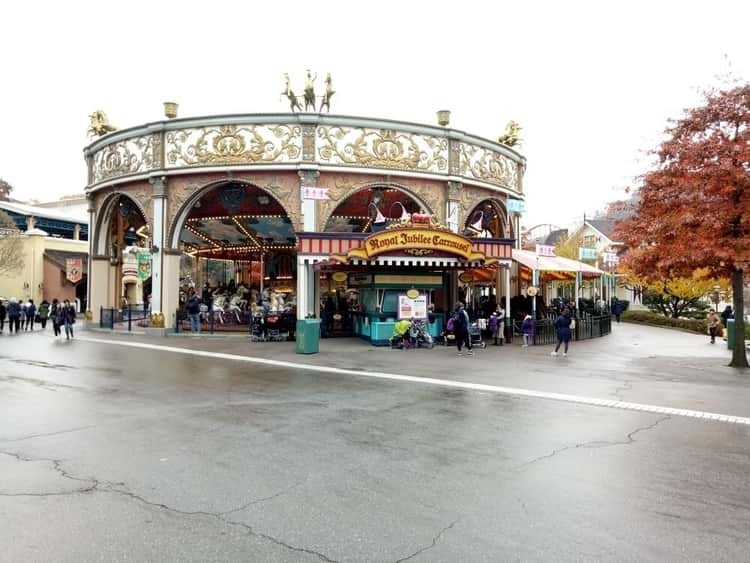 The park has provided thrill rides, kid rides, VR rides, beautiful European-style gardens, impressive European architecture building and board a vehicle to see variety of animals with proximity. Hence, this largest theme park is a great place for you to have fun and sightseeing. 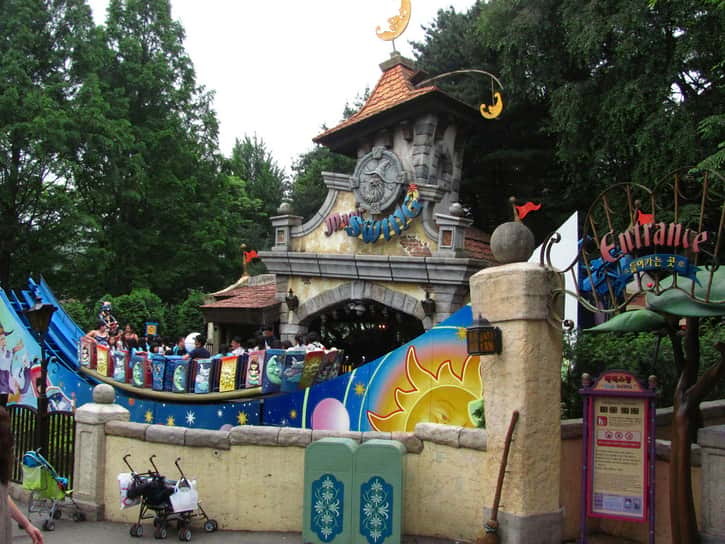 There are plenty of attractions in the Everland and it is very suitable for all ages. 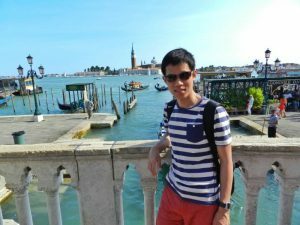 I can understand that planning a trip is not that straight forward and need to do a lot of homework before going there. 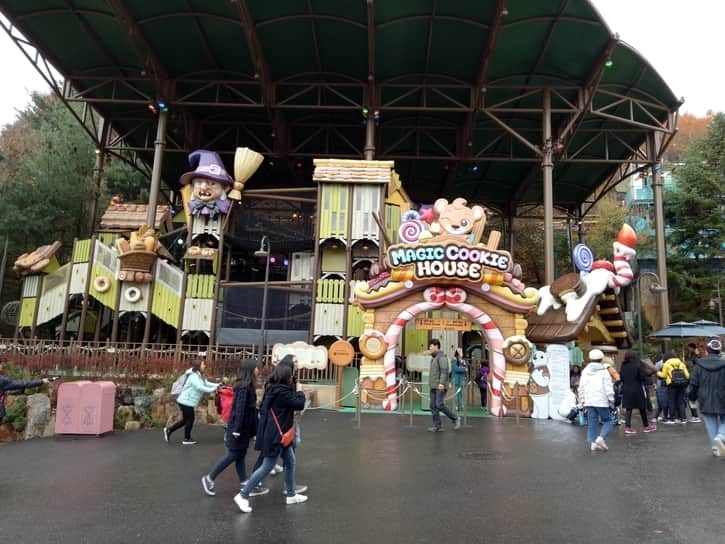 I truly hope that my information in here can help you to gain sufficient information on how to go to Everland in order to save your time for doing research. Feel free to share this post on Twitter or Facebook if you found this post was useful. 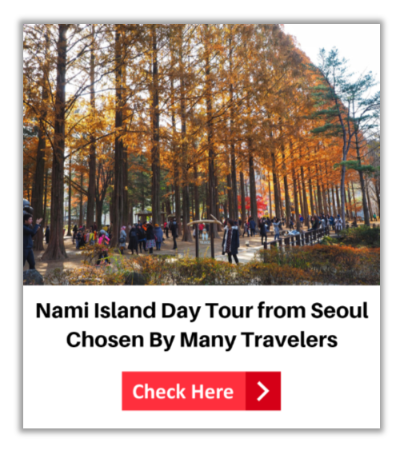 Hence, can help those who are planning to go to Everland and holiday in Seoul, South Korea. Wish you have a pleasant trip to Everland! Thanks for the very informative guide. It’s really helpful. Will surely visit Everland one of these days. Wish you have a great time in Everland. Wow! This is really a comprehensive guide. We also went to Everland this May and I really enjoyed it. 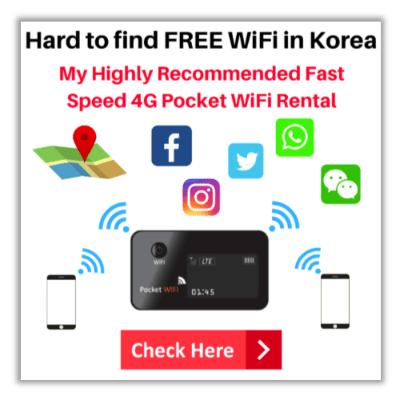 If I could change my travel plan, I would definitely purchase a Q pass and I think people also need to know about it even though it is an additional expense. We did not get to ride all the rides that I like because of the long lines. Q pass helps in skipping the lines. Thanks a lot for your kind words and leaving a message in my blog post. Everland Q Pass is really helpful for those who want to get more rides by skipping long queue and save time. This is an excellent site, told me everything I need to know, thank you! 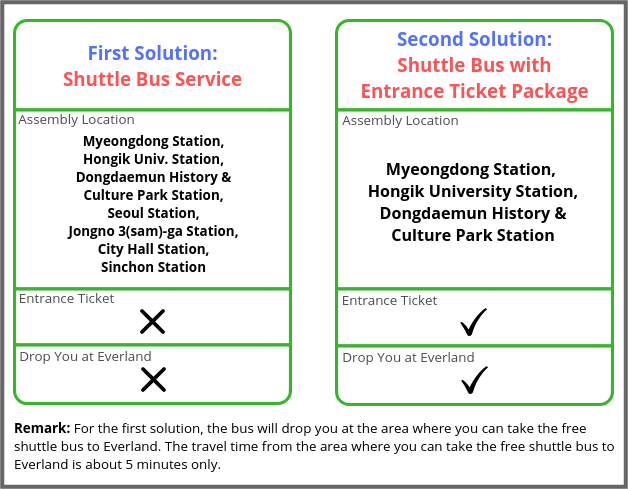 one question though is how often are the Shuttle buses without Park entrance tickets (Option 1) departing Seoul and Everland for the return journey? Also how much time will this option take compared to taking the subway? The shuttle bus only depart once a day in Seoul. 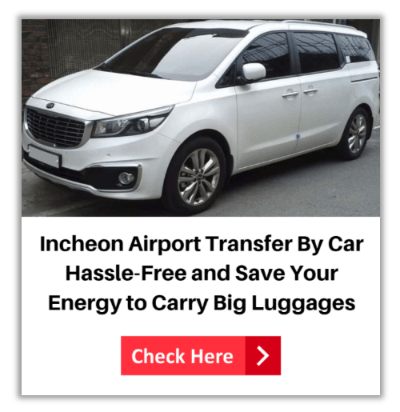 There are several places for you to get on the bus like Myeongdong Station, Hongik Station, Dongdaemun Station, City Hall Station, Seoul Station and so on. For return from Everland, you can choose 6:30 PM or 8:30 PM. You can check the latest exact pick up time and return time at this link > Shuttle to Everland. The good thing of taking Shuttle Bus to Everland is you don’t need to transfer many times and also not many stops compared to Subway. I believe it would be faster than taking subway. But I can’t give you to know how much travel time by taking Shuttle Bus compared to Subway. It’s depend on traffic flow on that day and also which location you will get on the bus. For me, I would prefer taking Shuttle Bus because the price is only slightly higher than the subway price. Simple and convenient to reach Everland.